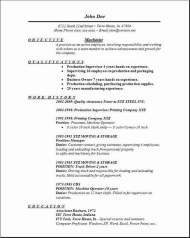 Your formatted resume for free was found here, so tell your friends about it. E-mail this page. Help them out too. --click save--save in Desktop-- with the same file name. That's the best place to find it later on when you want to start editing it. The average hourly pay is $18.03 for a machinist although it will depend on the specific industry you're employed in. With an average annual salary of $37,490. You should use these 3 resume formats when creating and editing your new resume. I like the look of them. They all contain in them what the professional at the company in charge of hiring is looking for. They make the information stand out, and this will make it easier for them to put your resume in the interview slot to be called on for an interview. Your abilities will stand out and they will take notice quickly without having to scrutinize your resume with a fine tooth comb. After all, if you make them do that, they will pitch it in the trash just as fast as they pick it up. We don't want that so visit some of this websites other resume pages so you can get some good info on organizing your resume. The machinist template background pic above was a new addition. Some people like to experiment with the picture by changing it to something different. If you decide on downloading one or more free templates, send me a comment when you visit thecontact us page. I would like to hear any of your ideas to improve this site. Any other items I can add to help out, I would be glad to do it. There are plenty of opportunities for information gathering here. Dig through the information so you can find the help you need. I hope you have great success. Please tell your friends where you found your resume and get your cover letter before you go to the next page. 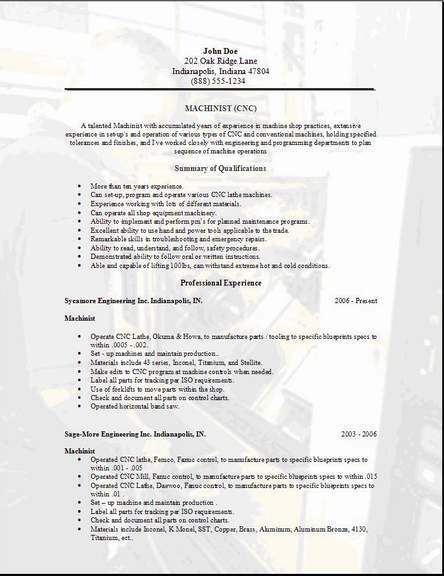 The 3 resume choices at the top of this page are examples of resume template for a machinist. Free for you to just download then open in Word and edit these samples according to your needs. 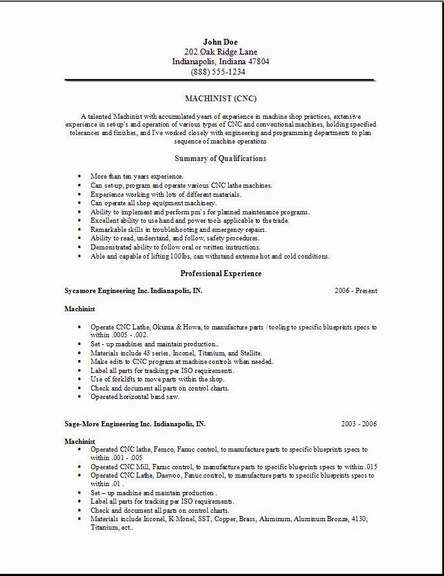 manual machinist resume, machinist resume cover letter, entry level machinist resume, machinist job description resume, entry level machinist resume examples, machinist skills list, fitter machinist resume example, cnc lathe operator resume.